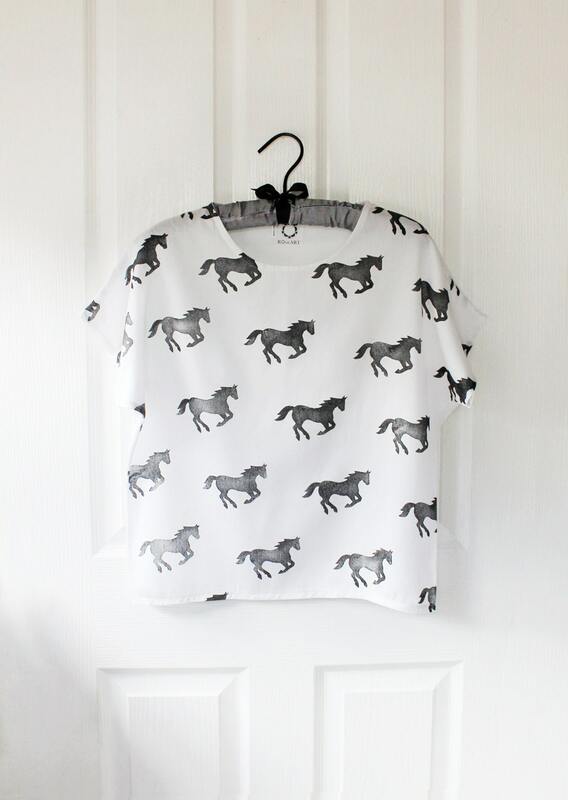 >>> Made to order, all sizes 1-2 week turnaround. Previously offered in Egyptian cotton, this gorgeous Tee will now be available in super soft and stretchy white cotton lycra jersey. 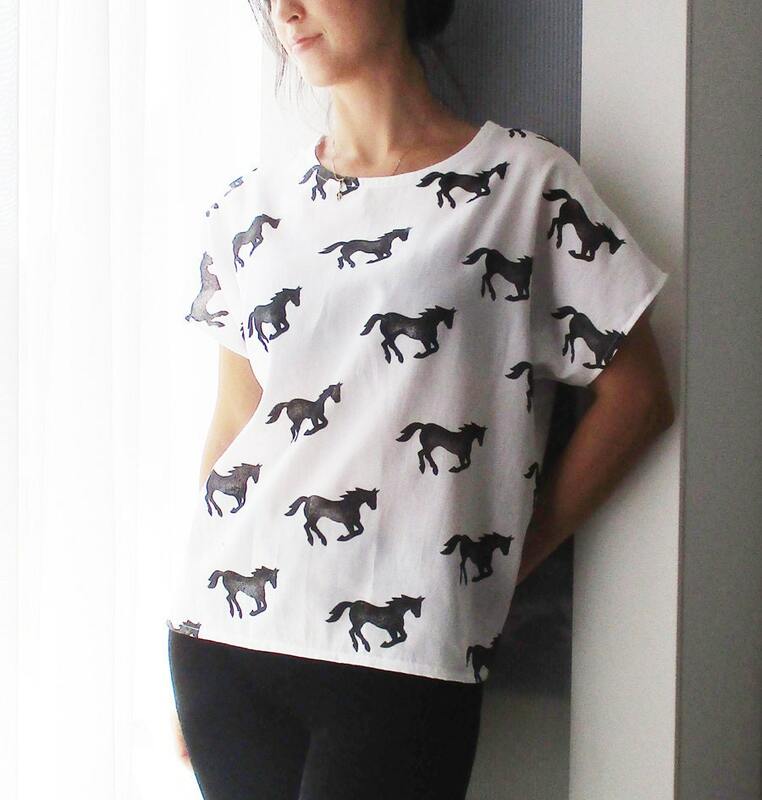 My own original galloping horse print is on the front and the back has been left plain. Each little horse has been stamped on individually using a block that has been carved with my own design. Imperfections are characteristic, some lighter or more textured than others, but this only adds to the garments uniqueness and individuality. length (from top shoulder to bottom hem) - 61cm / 24"
bust (from just under the armpits) - 54cm / 21"
bottom hem - 51cm /20"
Size 8 shown wearing M in photos. Please note colours may vary slightly to screen depiction.